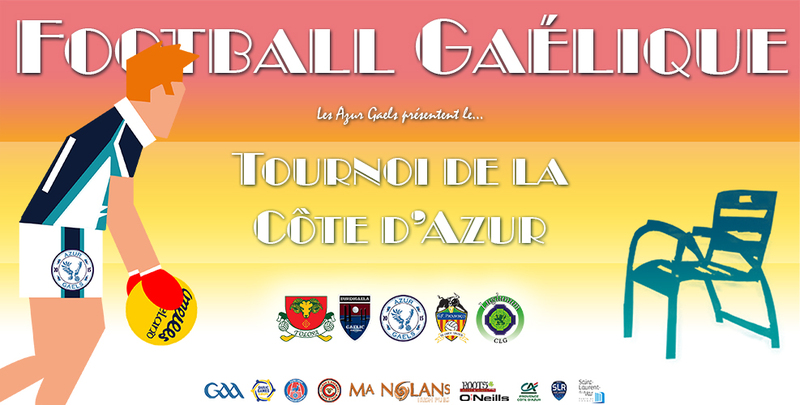 Five teams from the federal division – Tolosa Gaels (Toulouse), Burdigaela (Bordeaux), GF Provence (Provence), Lugdunum CLG (Lyon) and Azur Gaels – will battle it out in a marathon day of gaelic football on Saturday the 25th March at Stade des Iscles (Saint-Laurent-du-Var)… Before meeting for a “third half” in Ma Nolan’s Nice Port! 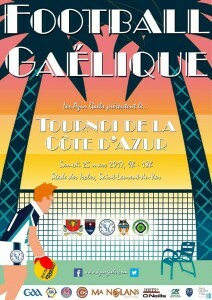 This event, featuring patron Stephen Stack (2 All-Ireland medals with Co. Kerry) and guest of honour Peter O’Connor, Cultural Attaché at the Irish Embassy in France, will be the first French championship tournament to take place on the Côte d’Azur, following in the footsteps of the highly successful first Provence tournament last year. 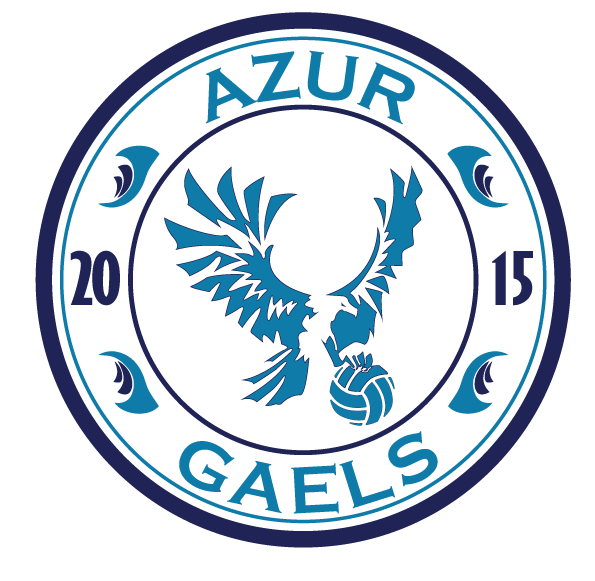 The public can expect a spectacle of high-level gaelic football, great craic and a tombola thanks to our partners Ma Nolans, O’Neills, Roots Bar and Colgan’s Brewery.